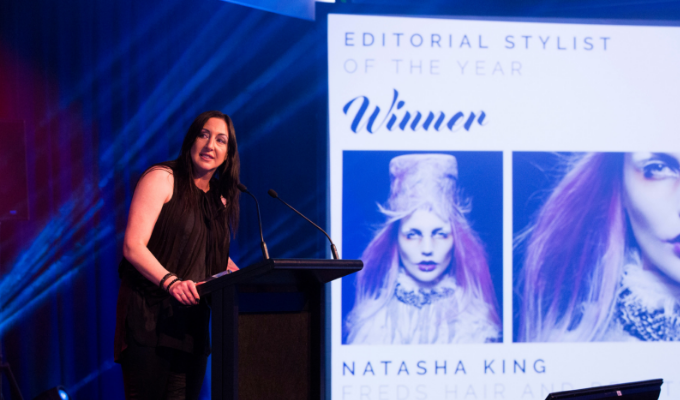 We spoke with the 2018 Editorial Stylist of the Year, Natasha King from Freds Hair and Beauty, about her win at The Industry Awards! How does it feel to be the Editorial Stylist of the Year? Unbelievable!! I had prepared myself and my supporters to know that I wouldn’t mind, so I am incredibly honoured to have received this award two years in a row. This image is one of my all time favourites and I’m so proud to see it get the accolade it deserves. What motivates you personally and professional each day? My team and my family! I live, breath and eat our industry. I don’t know how not to do what I do, it’s just who I am. I’m really inspired everyday watching my team grow and develop too. Where to in 2019: Where do you see your career heading in the future? I won’t be competing for the foreseeable future. Instead I’m going to move into a role with the competitions committee. It’s really nice to go out with a bang and now be able to help and inspire others, and raise our competitions. 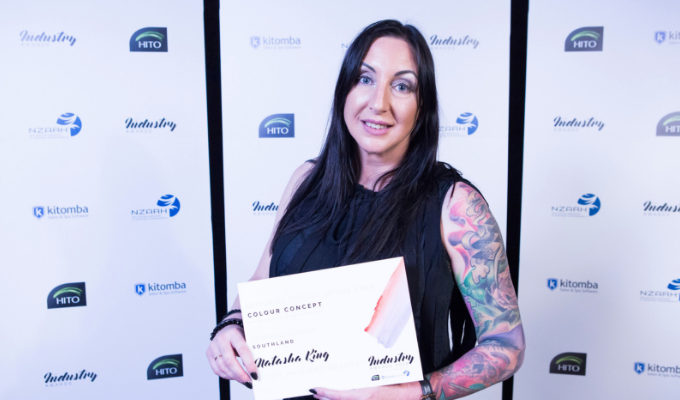 How do you feel entering the awards has helped you as a stylist? Put it this way, 4 years ago nobody knew my name. That’s how much I have grown through competitions. What advice would you give to other stylists about the entry process? Research, practice and read the rules! Also know your judges. Look at their Instagram and see what they like. Also produce a photo or collection that tells a story. Anyone of us can do hair on a pretty girl – so create that little bit of extra wow factor! What would you say to stylists considering entering The Industry Awards in the future? Just do it!! As hairdressers we are creatives but realistically the most common cut in New Zealand is the “same as last time” and colour is the “same again”. Competitions like The Industry Awards give you the platform to share your story through your art. A great team, supportive family and an amazing industry of like minded individuals all helping each other grow! I’m so thankful for The Industry Awards and the creative awards. These are often the first place people can show their creative side, so these awards are invaluable to our industry and I look for watching them grow. I have the most amazing group of stylists that continue to blow me away with their skills and support. I could not do what I do without the team at Freds keeping the wheels turning as I chase my dreams. I’ve been supported by all those mentioned above but without my business and creative mentor Carl Keeley none of this would’ve been possible. He saw something in me that I didn’t dare vision in myself, and found a way to get me to bring it out. I am also blessed to be supported by an amazing brand partner in Matrix. They have backed me every step of the way and given me other platforms to continue my crusade to help and inspire others. The team at NZARH and the inspiring hairdressers that I have met through my time are all instrumental in supporting each other to do what we love and showcase our work to the world.